Moving Docs brings powerful documentary films to screens big and small, by combining event cinema with innovative online distribution. It is driven by a shared belief in the value of documentaries and the importance of a diverse film culture within Europe. With 20 screening partners across Europe and two mainstream media partners, Moving Docs enables a selection of the best European documentaries to cross borders and reach new audiences. These are films with an impact. They make you see the world differently. 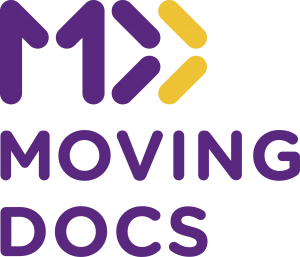 Moving Docs is the very first initiative of its kind, powered by partners across Europe, managed by the European Documentary Network, and supported by Creative Europe. In 2017, MakeDox has become a partner in the Moving Docs – a partnership founded for the purpose of joint distribution of documentaries across Europe. As a new EDN initiative supported by Creative Europe, Moving Docs aims to create innovative outreach strategies and to provide opportunities for urban and rural European audiences to enjoy regular screenings of documentary films through a wide variety of media and platforms. Apart from MakeDox, Moving Docs partners are: Against Gravity – Poland, ARTE – France, Autlook Film Sales – Austria, Berlin Documentary Film Club – Germany, CineDoc – Greece, Demiurg Distribucija – Slovenia, Doc Lounge – Sweden, DocPoppies, Docs Barcelona – Spain, Doc.Fest Munich – Germany, DOXBiO – Denmark, European Documentary Network – Denmark, Five Stars Film Distribution – Serbia, Lemesos International Documentary Festival – Cyprus, Film and Campaign и New Notions Cinema from the United Kingdom, One World Human Rights Film Festival – the Czech Republic, Rise and Shine Cinema – Germany, Take One Action Film Festivals – The United Kingdom и Taskovki Films – Bosnia and Herzegovina.